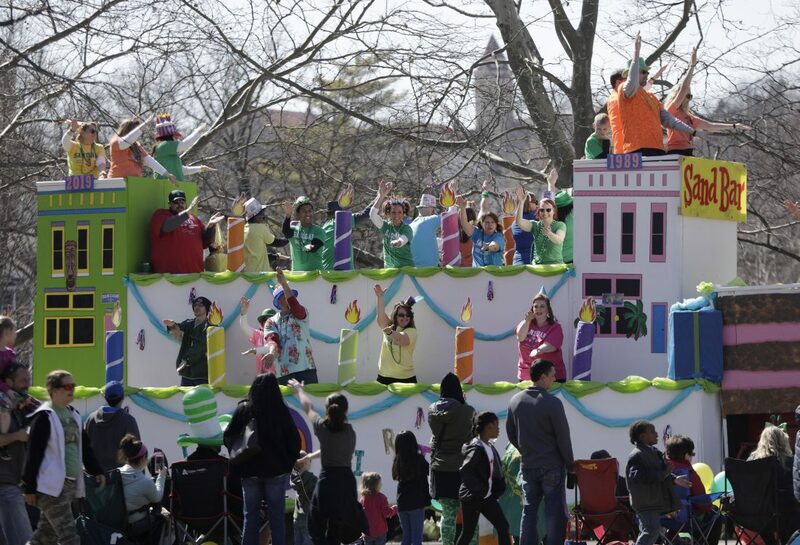 The Sandbar float passes through South Park during Sunday’s Lawrence St. Patrick’s Day parade through downtown. 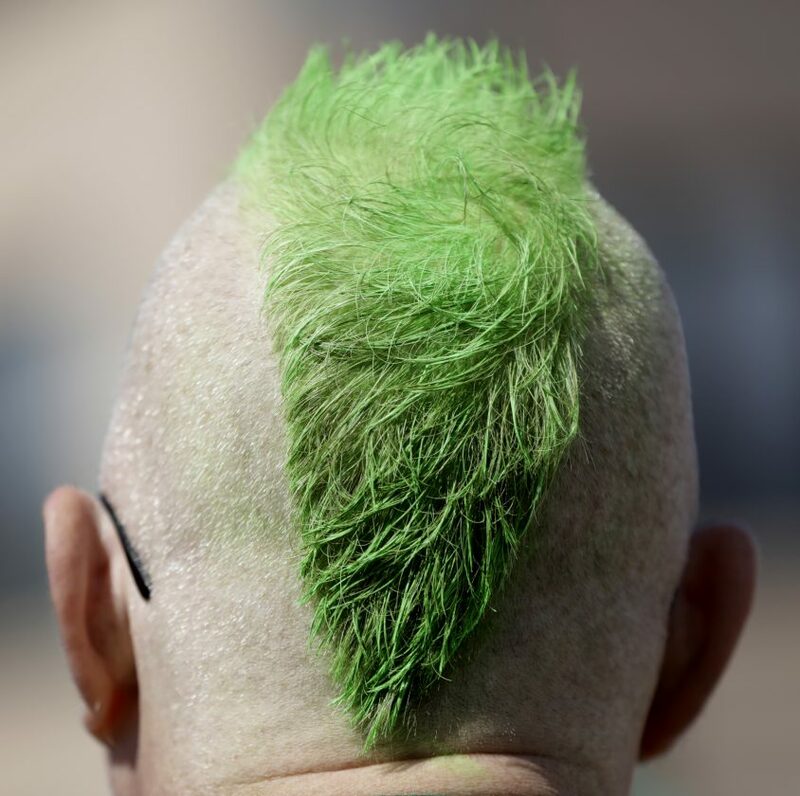 The annual tradition that floods the streets of Lawrence with green of all shades brought even more folks than last year downtown Sunday, according to an organizer. 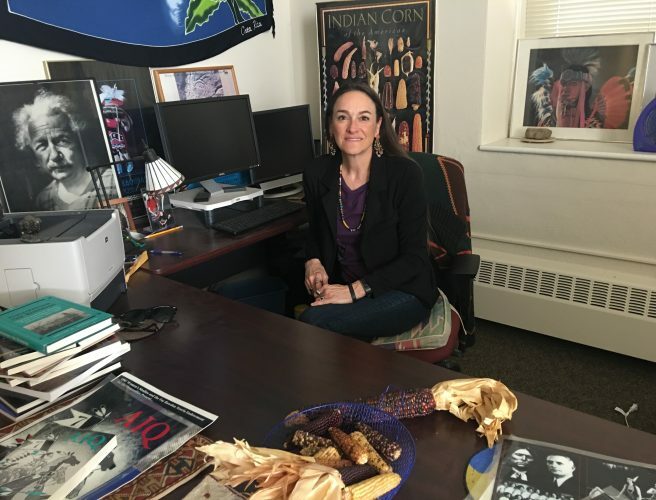 Delisa Drewes, a longtime St. Patrick’s Day Parade committee member, estimated that more than 25,000 were in attendance. 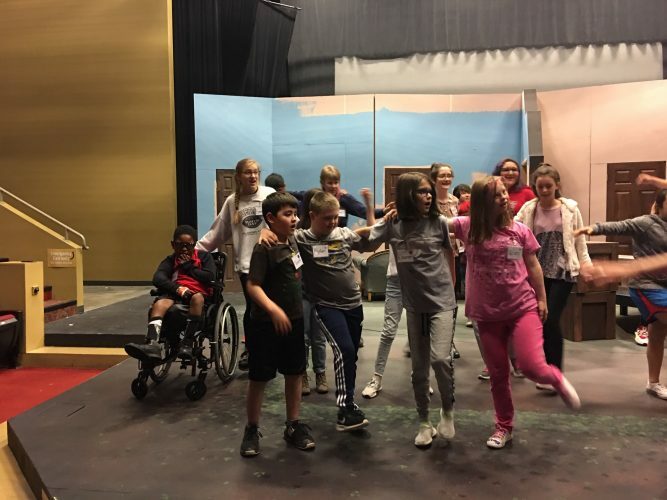 The annual parade — the culmination of many other events throughout the year — is a fundraiser, and this year will benefit the Lawrence Children’s Choir and the Lawrence Youth Football program. 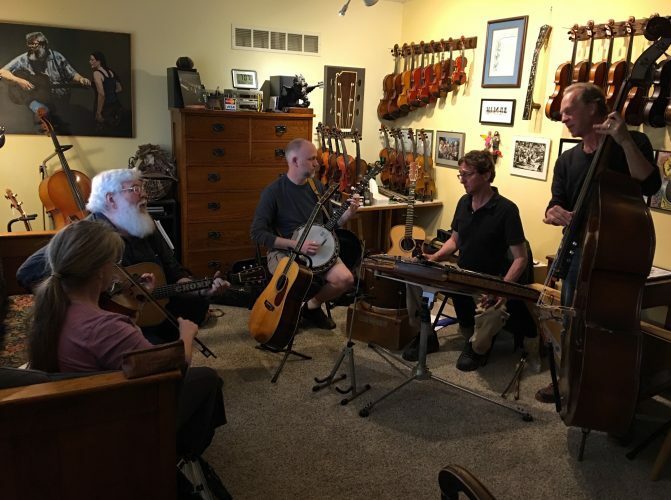 The total amount they will receive will be announced in early April after all the expenses for the parade are paid, organizer Kay Traver previously told the Journal-World. 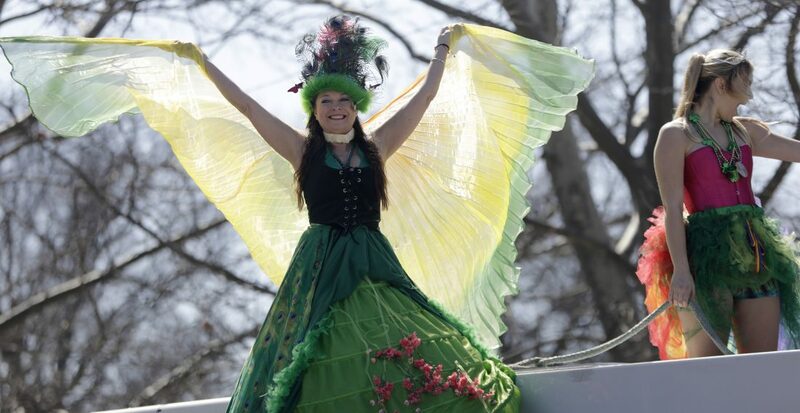 Parade participants dance on top of a float during Sunday’s Lawrence St. Patrick’s Day parade through downtown. 2nd Place: The D.A.I.S.Y. 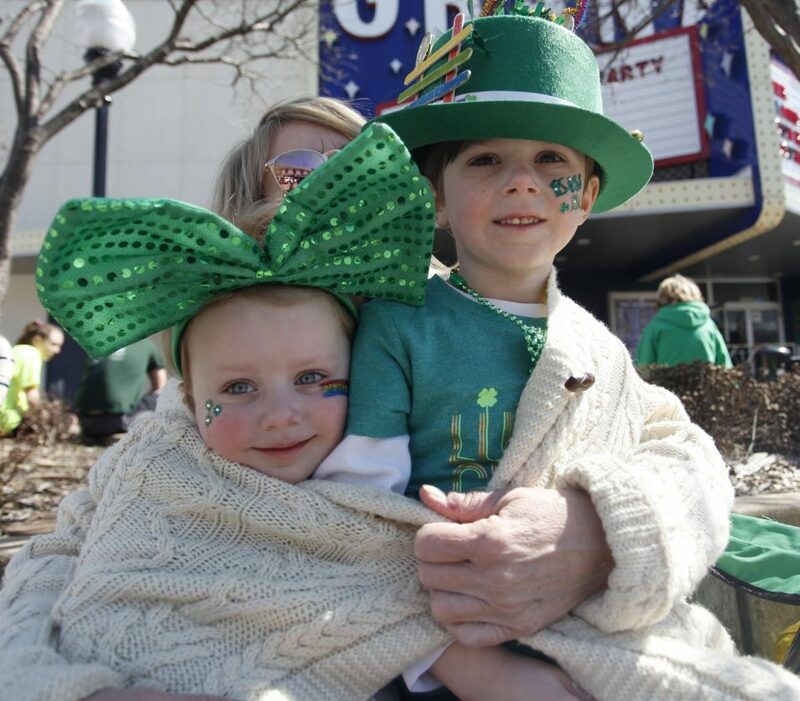 Studios Inc.
Harlow Gryszowka, 3, and her brother Grayson, 6, are wrapped up in the arms of their grandmother Patsy Huffman, Lawrence, at Sunday’s Lawrence St. Patrick’s Day parade through downtown. 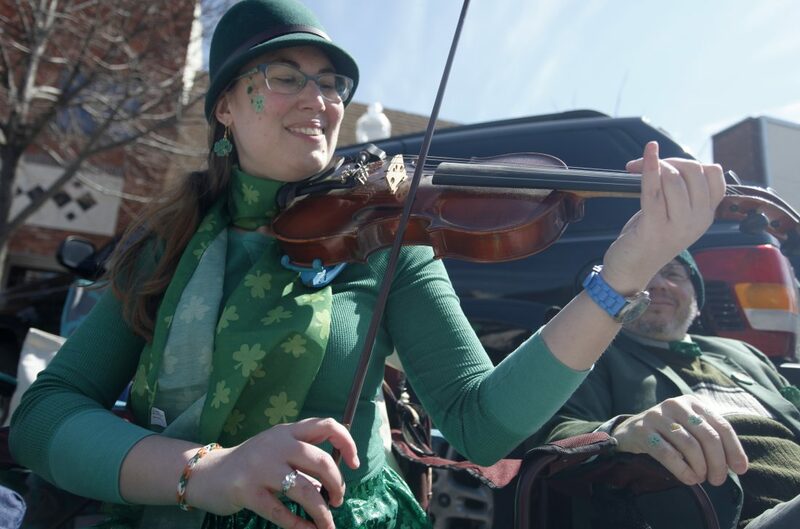 Jessica McDow, Lawrence, plays some Irish jigs and reels on her fiddle while waiting for Sunday’s Lawrence St. Patrick’s Day parade through downtown. 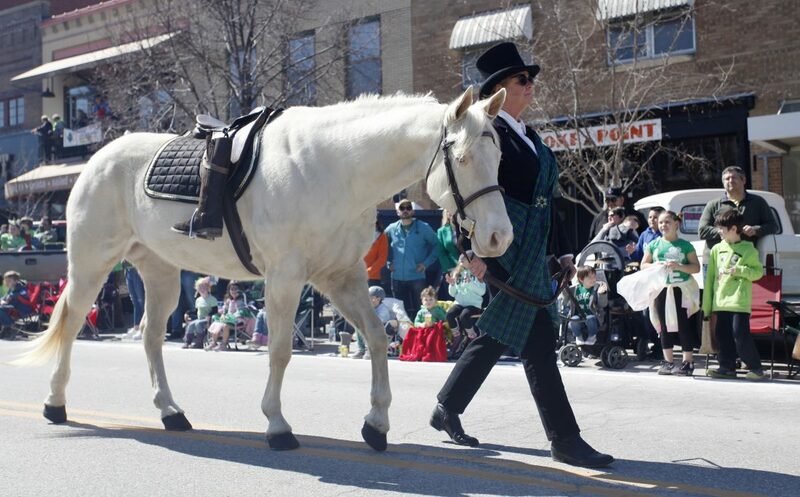 A riderless horse, in memory of Bill Sullivan, founder of the Lawrence St. Patrick’s Day Parade, passes through downtown during the parade Sunday. 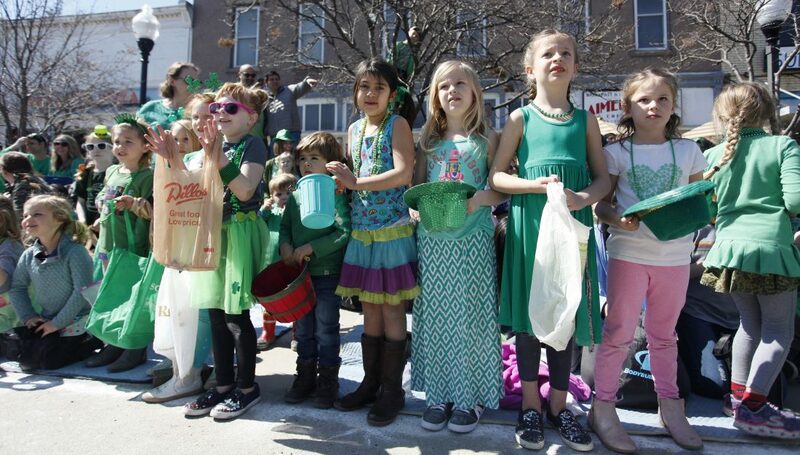 A group of girls watch floats pass by during Sunday’s Lawrence St. Patrick’s Day parade through downtown. 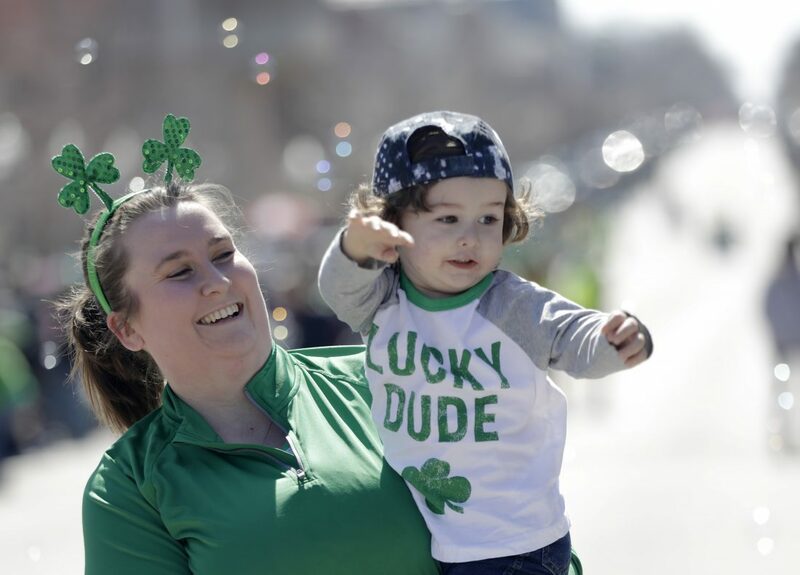 There was plenty of sunshine and the color green in Lawrence as people participated in and attended Sunday’s Lawrence St. Patrick’s Day parade through downtown. Runners start off on the Shamrock 1-Mile run before Sunday’s Lawrence St. Patrick’s Day parade through downtown. Declan Nelson, 2, tries to catch soap bubbles out of the air while held by his mother Mackenzie Nelson, Lawrence. 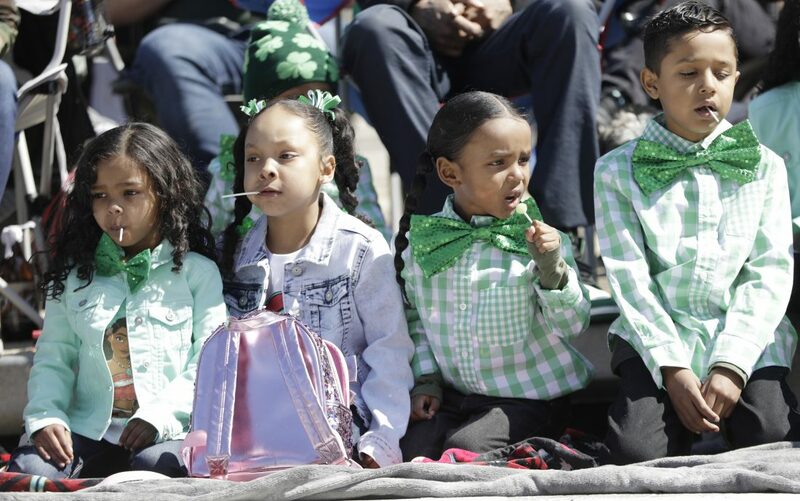 A group of children enjoy lollipops while waiting for the start of the Lawrence St. Patrick’s Day parade through downtown. 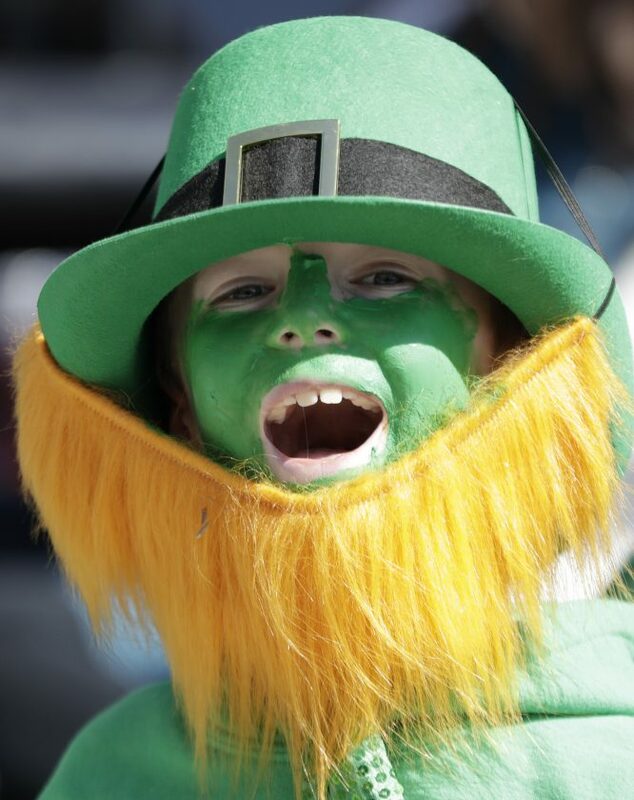 A young Leprechaun enjoys the Lawrence St. Patrick’s Day parade through downtown. 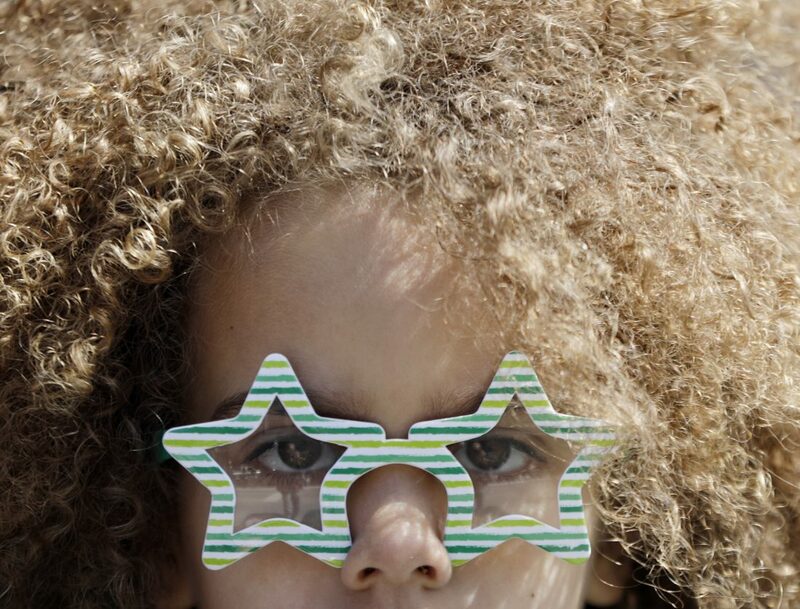 A young girl watches Sunday’s Lawrence St. Patrick’s Day parade through downtown. 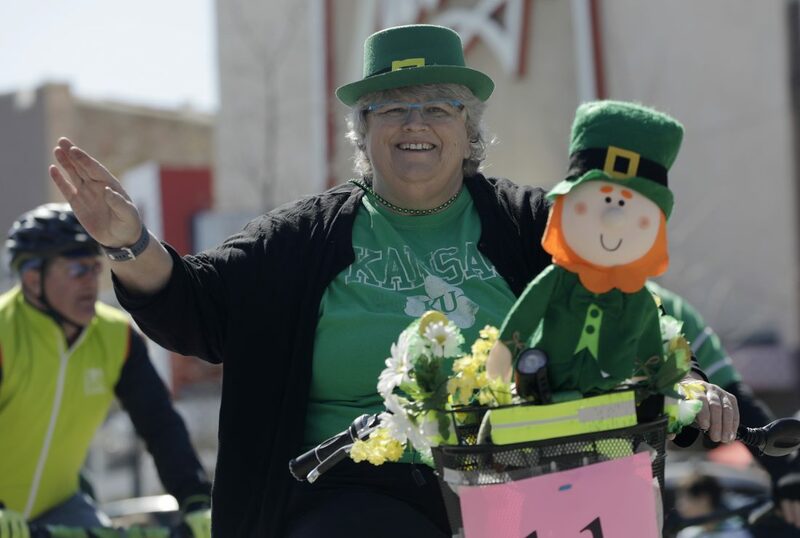 Lawrence mayor Lisa Larsen participates in Sunday’s Lawrence St. Patrick’s Day parade through downtown.